It's time now for StoryCorps. Late last year, 33-year-old Walker Hughes tried a new medication. Instead of helping him calm down, though, the medication made him agitated. 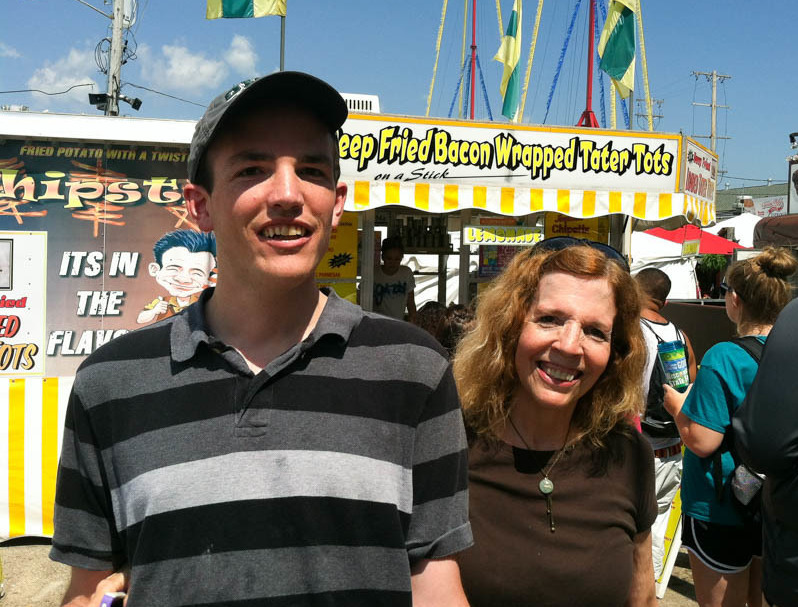 Walker had autism and struggled to communicate what was going on, but his mom Ellen knew they had to get to a hospital. ELLEN HUGHES: We're driving at rush hour, and my sweet guy is screaming and grabbing me. And we're just scared to death. This is not the guy I know at all. MARTIN: As he arrived at Loyola Medicine near Chicago, Walker bit Ellen. That's when they encountered Public Safety Sergeant Keith Miller. Ellen and Keith came to StoryCorps to talk about that day. HUGHES: ...Rooms just for having a seizure and being big. That day, we show up at a hospital. Here's this giant 6-foot-3 guy just bit his old Mom. HUGHES: I'm sitting there brokenhearted, scared out of my mind, bleeding. HUGHES: And Walker's trying to run away. And I see, like, five guys on him, and all I can think is, this will not end well. They're going to kill him. But suddenly, I hear this cute game. HUGHES: Where he's trying to escape, and you're going, Walker gets up. Walker sits down. Walker scoots back. Walker lies down. And then you said, high-fives all around. And I thought, he won't do it. And I look, and he's beaming. And he's high-fiving every single officer. And then you started singing, and I thought I would lose it forever. MILLER: I started singing "Mister Rogers' Neighborhood." HUGHES: You're singing "Mister Rogers" with these men. And he went from being terrified to feeling like he had cool friends, cool guys, hanging out with him. MILLER: I saw this man who was dealing with something he just did not understand. MILLER: ...In your face. It touched me personally. My son is 14. He was 15 months when he was first diagnosed as being autistic. Being a father of a child who has autism, I don't know what change is going to occur in him. And as parents, we are there to help them deal with their obstacles. And if we can't do it by ourselves, there's other people out there to help. And I want to be one of those other people. HUGHES: Well, nobody else does what you do. We look like a very scary situation coming in there. And we turned into a kind of party I think people wanted to join. I've been in a lot of ERs, and some people have been kind of nice. I never sat there and felt like this is one of the most important moments of my life. 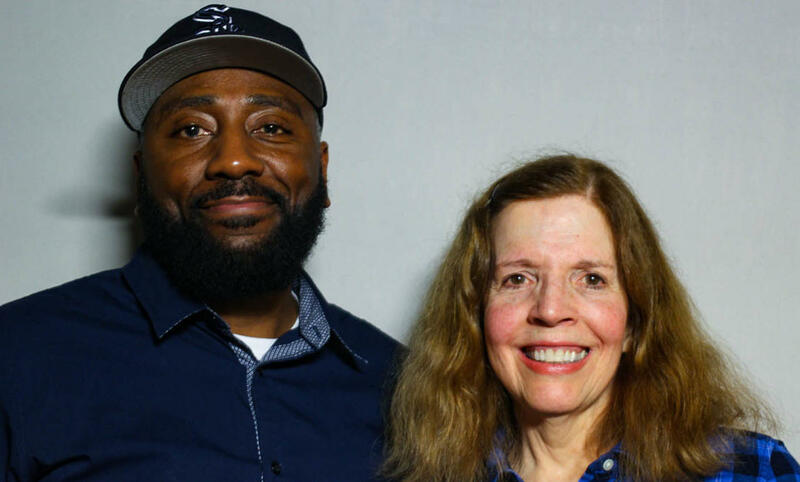 MARTIN: Ellen Hughes and Sergeant Keith Miller for StoryCorps in Chicago. Their conversation will be archived at the Library of Congress. Transcript provided by NPR, Copyright NPR.